Congratuations and a big Welcome back to Fik for rejoining the Forum Department as well as to Kuvi (formerly Bonsai) for being repromoted to Gamma! Welcome back to your departments you two! Eek, Criminals and Maggot have joined forces with the Event Committee and we can’t wait to see what kind of new and exciting events they have to offer! Congratulations you three! We now have an Artist Review Document! This is an offsite document hosted by Wolfhome which will contain both negative and positive reviews from users who have had experience with artists on Wolfhome. Be sure to check out the announcement in the link above for more information! The Wolfhome Fairy has been brought back to life!! The Wolfhome Fairy is a Wolfhome helper that appears on chat to give out free deltas to members of the community who may not be able afford to have deltas or don’t have the means of acquiring them. She goes from public room to public room in search of new and old users alike. There’s a catch, though! Once you find her, the Wolfhome Fairy will ask you a perplexing question or riddle. You must answer her correctly in order to receive your prize! You can participate if you have deltas! Just please bare in mind that free accounts will be a higher priority. Eventful has a Treasure Chest!! Eventful’s Treasure Chest is a point-system developed by Xina! Each event will now have a stamp associated with it, and it will be found under the prize section on the original post of the topic. If you participate in the event, a stamp will be added next to your name on the thread once the event is over. Once you earn a certain number of stamps, you may trade them in for various prizes and permissions! Once you trade in stamps, they disappear, so spend them wisely! Be sure to give Xina a big Thank you for developing this idea!! Regarding Rule 1-C, there will no longer be reminders issued! From now on, warnings will be sent out in regards to a breach of this rule. Make sure to stay out of trouble! Regarding the previous Rule 22: The Administration decided to honor the majority vote and are no longer going to be enforcing it. However, since the votes were so close and some members of the community expressed concern about getting rid of the rule, they are conducting a trial run for an undecided amount of time to see how well the markets fare without it. If everything runs smoothly with this rule being gone, they will not reinstate it. – The rule regarding character transaction (C)s and permissions is gone for the time being. You will no longer receive reminders on your topics for copyrights and permissions; therefore, you will also no longer receive warnings regarding these things. – We will not be accepting reports for topics lacking (C)s/permissions at this time. During this trial run, all reports that we receive regarding these things will not be counted against you as false reporting (unless you continue to do so after a couple of reminders). We will be closing the report and sending you a reminder/explanation that we have changed the rules. – If you do find a case of someone falsifying permissions, breaking a ToS, or providing improper copyrights, gather proof and evidence that they are doing so and then report it. All reports made regarding permissions, ToS’s, and copyrights must have all proof and evidence brought forth at the time of the report. We will not be digging through the forum to look for these things ourselves. If a report does not provide adequate proof, it will be closed until more proof can be provided. Aeolia is a loving member of the community, admin team, and event committee! She always does her best to make sure that everyone feels welcomed and appreciated! She goes out of her way to help out anyone who is in need and is always volunteering her time to various events. She is a huge sweetheart and we are so thankful that she is part of this wonderful community. You can congratulate her here! If you’d like to nominate someone for MotM, please PM this account with their username (both forum and chat) and a reason why you’ve nominated them and why they deserve to be chosen. You may nominate up to 5 persons each month, and you can vote users multiple months in a row if they have not been chosen yet. Takatia hosted a Winter pose swaps, which sign ups are now closed for, however the results are being posted daily and they are beautiful!! Check out the entries here. If you are a contestant, make sure to have your pose completed and submitted by January 30th, 2017! Wolfhome Movie Auditions! : Welcome, young actors and actresses, to the first ever Wolfhome Movie Auditions! Has your character felt like they belong in the spotlight? Do they crave the life of a movie star? Well step right up and audition for a movie! Your character could get the main part! To audition for a role in one of Wolfhome’s movies, all you have to do is pick a movie from the topic and draw your character acting in one of the movies scenes. Your audition may be drawn digitally or traditionally, just make sure you remember your lines! Auditions for a role in one of these movies will close on January 20th, 2017! 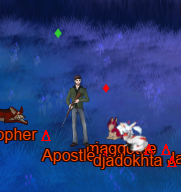 Awoo! Am I seeing hearts?! Xina is hosting the Valentine’s Day Card Swap this year! Valentine’s Day is just around the corner and what better way is there to show your friends you care, than by giving them a valentine! This is a card swap *not a pose swap*. You will be drawing for the user you are paired with and will be receiving your card from another user. Sign-ups have just been posted and we are excited to see the upcoming valentine cards! It’s time to party because 2017 has finally arrived! Wolfhome has spoken on who they believe should be 2016’s Member of the Year! A huge congratulations to Elf! Elf has been a remarkable member of the Wolfhome community! They encourage other members to pursue their artistic talents while wowing our community with their own incredible flair for art. As a role model to many, Elf has humbly maintained a positive aura and shared as much love as they can with each member of our community. Their warm personality is welcoming, admirable, and so appreciated! Make sure to toss these Wolfhomers a Happy Birthday wish! It seems Wolfhome’s Event Committee is rushing headlong into the new year, because they have a host of events planned to brighten up this January! WH Winter Banner Contest! : Wolfhome is in dire need of a new banner for this winter season! Feel like spreading the cheer with your unique style of art? Now you can- just head on over to the official to take a peak at the beautiful entries we have so far. A huge shoutout to those who have chosen to participate, your contributions mean a lot to the community! This bi-yearly contest is held by the Wolfhome Administration to replace the old banner with a custom banner made by a member of the community. The Prizes are : 1st : 25 Deltas, 2nd : 15 Deltas, 3rd : 10 Deltas and will end January 7th, 2017! Winter Pose Swap! : Sign-ups are officially closed as of January 2nd, 2017! I hope you all are ready for another pose swap to start off the new year! 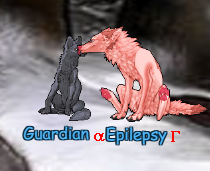 Wolfhome’s pose swaps are an event where you have to draw a pose for a user you are paired with, and you will also receive a pose from another user. You wont know who’s drawing for you until you receive your pose! If you are a contestant, make sure to have your pose completed and submitted by January 30th, 2017! I’m Dreaming of a Colorful Winter! : The holiday season is upon Wolfhome, and it’s time to get creative! Eventful loves getting creative and all this white snow gets a bit boring.. Can you help me out by helping make my decorations not so boring? They seem a bit bland right now I want them to have more color and be more unique! This event is all about decorating various holiday items, and it will run from December 4th, 2016 to January 14th, 2017! Make sure you stop by to show us your holiday cheer! New Year, New You, New Goals! : New Years is a time for new goals! Many people come up with New Year resolutions, but often fail to stick with it or meet their goal. By visualizing yourself successfully reaching your goal, you can motivate yourself to keep working and sticking with it! Our goal is to see YOU reach your goals, and to encourage you every step of the way! We hope to see the Wolfhome community come out and participate in this event, which will run from January 1st, 2017 to January 15th, 2017! Make sure to have a stellar January Wolfhome!